Convert DXF to SWF in batches with comfort. 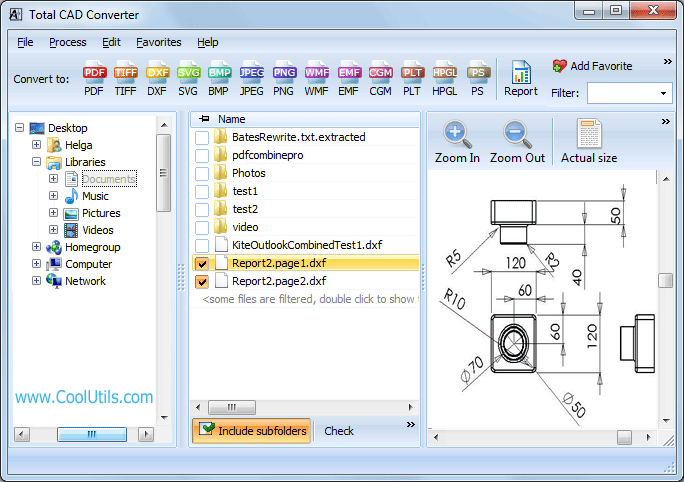 You are here: CoolUtils > Total CAD Converter > Convert DXF to SWF in batches with comfort. DXF drawings are created in AutoCAD and can hardly be used as flash file. However, you can solve this problem with the help of Total CAD Converter. It can convert DXF to SWF in batches to adapt drawings for editing in Adobe Dreamweaver or other flash editors. Batch conversion will speed up the process of exporting many files, while a list of available settings will adapt originals for the desired look and feel. Total CAD Converter supports AutoCAD 2013 DXF format, as well as its older versions. Split mode means that each source drawing will be converted to a separate SWF file. If combined, all originals from the batch will be exported into one SWF file. The only difference between batch and single conversion is the ability to resize drawings. 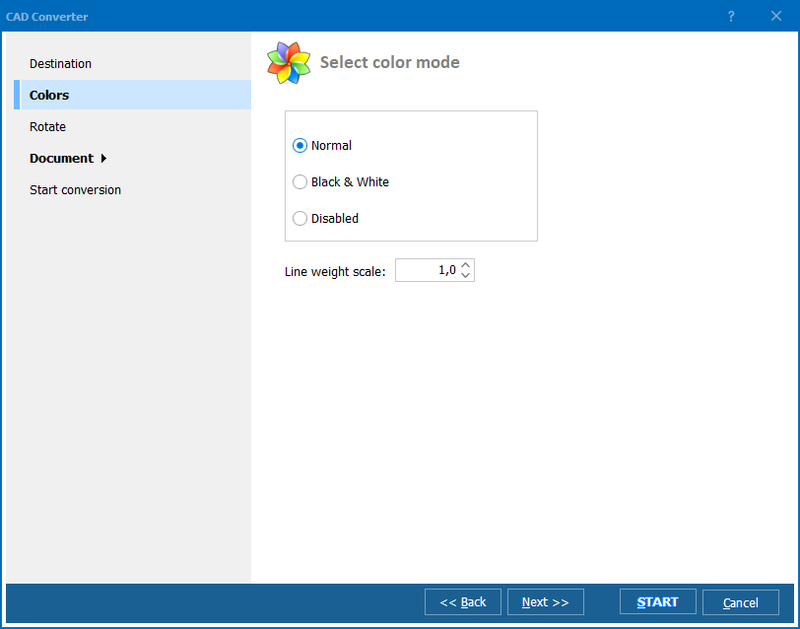 This option is available only when converting one DXF drawing. Rotation helps to adjust the positioning of images in SWF file. Often original files are not properly formatted, and you may desire another orientation for drawings. Settings wizard clearly demonstrates how the image will change within every rotation step. Without any problems you will know, how exactly it should be made. 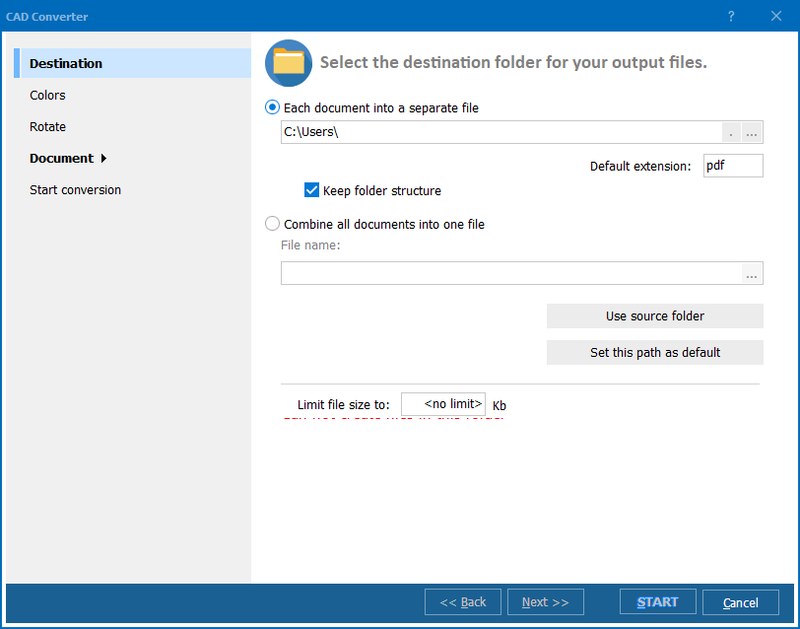 Making settings in batch DXF SWF converter you spread them upon all files in the batch. Adding watermark is an option that serves for protecting SWF copies from unwanted use. Putting text mark with your name or document source you will declare its origin and prevent it from stealing. Watermarks are fully customizable: you are free to select fonts, position and their text content. All parameters in this CAD converter are set in a handy wizard. 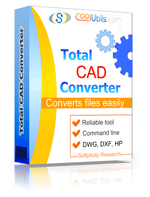 Total CAD Converter will turn your drawings to SWF files quickly and professionally. Get a 30-day free version here!